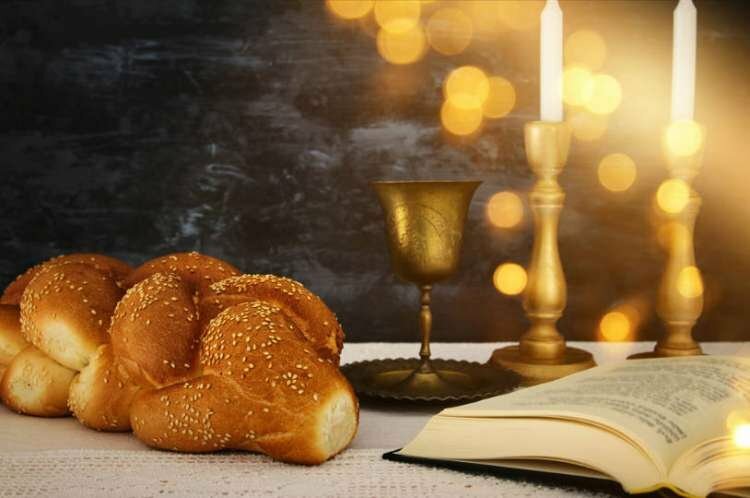 Parshat Vayakel begins with an exhortation to observe Shabbos: "For six days work will be done and the seventh day shall be holy for you, a day of complete rest for Hashem, whoever does work on it shall be put to death." The commentaries ask that the wording of the Torah in this passuk needs explanation; it should have said, "for six days you will do work" in the active sense, rather than saying that work will be done in the passive form. They explain that the Torah is teaching us about the attitude a person should have that will enable him to have the fortitude to refrain from doing melacha (prohibited activity) on Shabbos: Throughout the week a person is required to work in order to earn his livelihood, he cannot sit back and expect G-d to provide for him if he puts in no effort. He is required to put in hishtadlus (effort) because of the decree that Hashem placed upon mankind after the sin of Adam HaRishon. However, in truth , all his hishtadlus is not the reason for his success, rather Hashem is its sole Source. On Shabbos, Hashem commands us to refrain from creative activity to acknowledge this and that all the work we do in the week is only part of the gezeiras hishtadlus (decree to work). However, if one comes to believe that his physical efforts are in fact the cause of his livelihood then he will find it very difficult to refrain from working on Shabbos; he thinks that the more he works the more he will earn and therefore it is logical for him to work on Shabbos as well as the rest of the week. In response to this erroneous attitude, the Torah tells us that one should view the work that he does in a passive sense - that in truth he does not do the work, rather that it is done for him. Hashem, so-to-speak, does the work and provides for each person's livelihood. If one recognizes this then he will find it far easier to refrain from working on Shabbos because he realizes that in truth his work is not the cause of his livelihood. It seems that this lesson is not limited to avoiding the 39 melachas that are forbidden by the Torah. There is a Rabbinical prohibition of speaking about melacha that one plans to do in the rest of the week. Doing so also shows a level of lack of appreciation of the lesson of Shabbos that Hashem provides one's livelihood. Moreover, whilst it is technically permissible to think about melacha on Shabbos, it is nonetheless praiseworthy to avoid such thoughts completely. Such a level reflects a true appreciation of how Shabbos is a reflection on the fact that Hashem runs the world, and that one's own thoughts of melacha are of no benefit. This idea is brought out in the Gemara in Shabbos: The Gemara tells of a righteous man who saw that there was a hole in the fence of his field on Shabbos. He thought about fixing it after Shabbos, and then remembered that it was Shabbos and felt guilty about thinking about melacho on Shabbos. As a show of regret he then decided never to fix that fence and as a reward a miracle occurred and a tzlaf tree grew from which he was able to support himself and his family. There are two difficulties with this Gemara: Firstly, why did he refrain from ever fixing the fence - what was the benefit of doing so and how could it rectify his initial mistake? Secondly, what was the significance of the reward he received, how was that a measure for measure response to his decision never to build the fence? It seems that we can answer these problems through the principle we are discussing. When this righteous man saw the fence, he thought about fixing it, momentarily forgetting the lesson of Shabbos, that Hashem is the Source of one's livelihood and that man's efforts are worthless without Hashem's help. In order to rectify this 'error' he decided to never fix the fence to demonstrate that he did indeed recognize that his own efforts were not the cause of his livelihood. As a reward for this attitude, Hashem showed him measure for measure that he was correct, and provided him with a new source of income, the tzlaf tree without any input from the man himself! This proved that Hashem can provide a person with his livelihood regardless of his hishtadlus. Throughout the week it is very difficult to see through the illusion that man's hishtadlus is not the true cause of his livelihood, and that Hashem is the sole Provider. Shabbos provides man with the opportunity to see clearly that all his hishtadlus is ultimately unnecessary. On Shabbos whilst the rest of the world continues striving to earn their living through effort, observant Jews rest from such activity, recognizing that Hashem runs the world without needing man's input. As we have seen, this attitude does not only express itself through avoidance of melacha, it even extends to refraining from speaking about melacha. The highest level is to even avoid thinking about melacha that needs to be done. All these prohibitions are supposed to instill in us the realization that all our accomplishments throughout the week only come about because Hashem so desires. May we all merit to observe Shabbos free of action, speech and thought about melacha. From the book "A Light in Time"